In this article, I am sharing a 100% chemical free natural hair coloring method using Henna and Indigo. As asked by many of you, I am also sharing my hair story, as to what made me give up on chemical hair colors and inspired me to adopt natural hair coloring without ammonia or any chemicals. Note: This article was published in September 2013. But I have just updated it to share my progress over the last 2 years. Updated: 11 June 2015. We all know about Henna. Henna is a plant/shrub, and its leaves contain a natural orange dye molecule. This henna orange dye can bind to the keratin in our skin, nails and hair, thus staining them orange. Now what if you can use another plant dye to color those orange hair into your natural black or a dark brown color without exposing yourself to any harmful chemicals? Well, more than two years ago such a magic happened in my life and the charm still continues. Meaning, I gave up on chemical hair colors more than two years ago and have been using pure henna and indigo natural powders to color my hair natural black. Let me share my hair story in brief. For 10 years, I had been using chemical hair colors. I had no guidance and over these years, I tried permanent hair colors, semi-permanent hair colors, henna (in the traditional way of soaking in an iron pan) and what not. L'Oreal Excellence Creme permanent hair color was what I used the most in those 10 years. I was stupidly happy with it, except that the ammonia content in certain packs used to suddenly go high and burnt into my eyes and nose. I kept getting a burning feeling in some or the other portion of my scalp. It would be fine one time and the next time again there would be burning, itching and sensitivity in some other part of the scalp. I was developing chemical burns and a PPD (Para-Phenylene diamine) allergy. Soon I had developed chemical burns in my scalp. I had constant itching and different areas on my scalp burnt painfully every time I would apply a chemical hair color. I even had certain areas in the front of the head which looked like small bald patches due to the lost hair. My graying was increasing which made me sad every time I looked in the mirror. My long hair had become highly porous and damaged. There was constant hairfall and each hair end was split into several split ends. Then like many of you, I decided to go for hair rebonding thinking it will make my hair look beautiful and would give me confidence. Little did I know how much more damage I was incurring on myself. After rebonding, my graying increased and most of my remaining natural black hair also lost their melanin and became a dull brown. I was told to take regular hair spas. I went for a hair spa and when they shampooed my hair later on, the hair ends tangled into an unimaginable mess as my hair were highly damaged at that time. Tangled and knotty hair-ends became a nightmare for me after each hair wash. In Feb 2013, I tried Godrej Expert Rich Creme Hair Color when one of the readers requested for a review of it. I got a bad reaction to that color and that became a turning point in my life. After that accident, I had to continuously apply aloe vera gel masks to heal my scalp and that is when I started experimenting with natural hair colors. I did find a lot of information on the internet about natural hair colors usage but was disappointed after trying most of those methods. So I decided to experiment on my own and document my research. This is how my hair looked when I had started using Henna and Indigo. As you can see, the hair look much better than plain hennaed orange hair, but the color was still not perfectly black. Later I discovered it is because of the poor quality of the Indigo. I had started with Patanjali Henna. Initially it gave me good results but there came a time when my Indigo would fade within a few days of doing it. I always blamed it on Indigo quality. Almost 10 months later it dawned that the Henna color is not coming out that good and in the next few months I noticed that the quality of Henna in Patanjali packets varied drastically from batch to batch. The amount of lawsone (henna dye) in your henna plays a major role. Since henna has to be the base for Indigo to work, you cannot lay the foundation on a weak base. So next I tried Godrej Nupur Henna. I liked that it made my hair soft. But for the 6 months I used it, I had unaccountable hair fall. I was afraid of shifting to plain henna because like many people I too used to think it would give me a cold. Finally I decided to give it a try post 2014 summers. I was in for a surprise. Plain Henna did not excessively cool my scalp and was much easier to use due to its creaminess. Plain rich henna is the best thing that has ever happened to me. It's gooey, it's creamy, it's super rich. The lawsone content is so high that my fingers get an orange stain even at the time of making the paste. It's a beautiful reddish orange, unlike the pale orange of regular brands. And the best part is that it is extremely finely sifted/sieved, so it does not damage your hair due to grit, like thickly grounded marker henna does. THIS is the henna we are now selling to people, to let them experience the same wow that I felt when I first used it. And this is how my hair looked a year and a half later. After using and testing many bad qualities, and seeing people go through the struggle to buy pure herbs and Indigo, my research led me to procure and sell the best quality of Indigo for my clients, the same quality that I am now using. 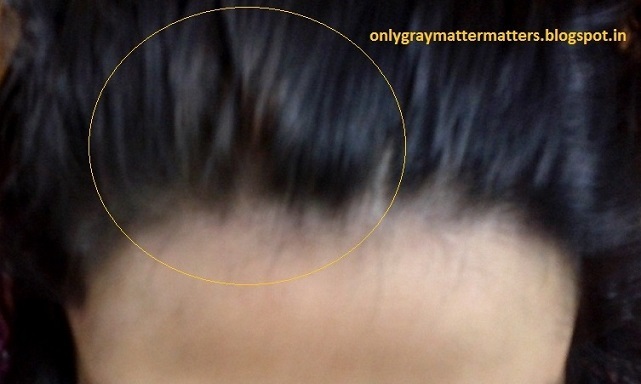 As you can see in the pictures above, there are no black stains on the scalp like you get with chemical hair colors. My hair are now shiny, longer, stronger, so silky that my braid keeps slipping back into loose hair, healthy scalp, no dandruff, no itching and a center of attraction. I hardly ever use oil and have a very simple hair care routine. During these last 2 plus years, I have experimented, researched and developed a foolproof natural hair coloring method, which is also a complete hair care and scalp care treatment in itself. Henna glazes your hair with a protective layer and protects them from environmental damage. If used over chemically colored hair, it will initially take time to first slowly remove all those chemicals sitting inside your hair and would repair them over the time. It is initially temporary, then becomes demi-permanent after a few uses and then becomes permanent over continuous usage once it starts seeping inside your hair. Henna is also a natural sunscreen which absorbs UV radiation and prevents your hair from sun damage. It makes your hair thick, glossy and shiny. However, there is a certain way of harnessing the henna goodness. When you use henna with the traditional tell-tale methods without proper knowledge, it can make your hair dry, brittle and ugly, like your salon people tell you. But that's not true. The truth is that henna is a wonderful magical herb that can treat skin infections (eczema, bacterial or fungal skin infections), can cure chemical burns, promotes hair growth, regulates sebum production in the scalp by absorbing the excess oil, covers and protects your hair from environmental damage and can give a beautiful natural shiny glossy color to your hair. It can also cure dandruff, lice and scalp infections like psoriasis and eczema. Indigo is the powder of the leaves of Indigo plant and has a purplish dye molecule. It cannot be used alone on the hair as Indigo cannot bind to the hair like Henna. So Indigo can work on your hair only in combination with Henna. Both Henna and Indigo have antibacterial, antifungal and antimicrobial properties and are used in many ayurvedic medications. These are also excellent natural hair and scalp conditioners. For those who want to treat scalp infections without getting their hair colored with Henna can try Cassia. Cassia is the powder of the leaves of yet another plant which is not actually from the Henna family but is referred to as Neutral Henna. Cassia has almost the same properties as Henna except that it has a golden dye molecule which can be used to color blond hair. On dark black or brown hair, Cassia provides conditioning without coloring the hair. Moreover, if you use Cassia paste immediately, then it does not release any color at all. Plant colors do have astringent properties, which means they can dry out your hair if not used properly and this is where my hair coloring method and 2 years of research and experiment come in picture. This method can safely be used by those who are currently using chemical hair colors, as well as those who are currently using Henna but not happy with the orange color. Coloring your full hair length with henna and herbs does coat your hair with a protective layer and prevents your hair from environmental damage. However, once the color becomes permanent after a few months, you can choose to do just root touch ups and full head only once in a while. Very importantly, I get questions from clients that they are afraid of using henna because it cools their scalp. Well, I have many clients who have/had sinus or chronic cold and are successfully using this method to color their hair. This is because I customize the ingredients for every person, based on their lifestyle or any health problems they may be facing. This method DOES NOT cause cooling of scalp with Henna. And those who have been told by salon workers that Henna makes hair dry and brittle, or those who are already using henna and have brittle dry damaged hair, it is because you are not doing it the right way. Henna and herbs can cause dryness when you use them the wrong way along with the wrong hair care products. But I will guide you on how to use it to get gorgeous soft buttery silky hair you may have only dreamt of till now. If you are allergic to chemical hair colors, or are already using Henna but hate the orange color, or if you simply want a safe chemical-free natural method to cover your grays, this is the method for you. We provide a FREE mini guide/Usage instructions with each pack. WHERE TO BUY HENNA, INDIGO, AMLA AND CASSIA? You can buy premium, 100% pure export quality Henna, Indigo, Amla (for natural hair coloring) or Cassia (for hair/scalp issues, for natural hair spa and for getting extremely healthy hair naturally) from us. We have our own brand 'Lifesutra by Gagan'. *Free shipping within India on all Standard packs. *Free Usage Instructions/ Mini Guide with each pack. Details vary in each pack. *International shipping through DHL. Write to me with your country name to know the shipping charges. Best suited for Virgin and Hennaed Hair, for beard hair coloring, for one-time use to test the efficacy of the product. Any one who wants to get great results and to thoroughly test the product, please start with the Value Trial Pack given below under 2. You will get Free Usage Instructions. NOTE: If you are a chemical hair color user or have just started using henna less than 6 months ago, please do NOT buy this basic trial pack. You need to go for the Value Trial Pack given below at no. 2. Particularly for people shifting from chemical hair colors. However, if you are an existing henna user and tired of orange hair, or if you are already using henna indigo with poor results, or if you have never colored your hair but want a long term reliable natural hair coloring source, go for this pack. It has 3 times more quantity than the basic pack for just a little over double the price. So it is more value for money. Plus it comes with much more detailed usage instructions. It is our best selling pack so far and is always in high demand. Suitable for old and repeat customers and value for money for people with long hair. You will get Free Usage Instructions plus some important tips and tricks. Price Rs 900+ Shipping Rs 150. Shipping = Rs 150 (for Delhi/NCR and certain regions in north India). Rest of India Rs 200. Plus Shipping = Rs 250 (for Delhi/NCR and certain regions in north India). Rest of India Rs 350. 14. Amla Price Rs 1300/ Kg, Available in 100 gms packets + Shipping Charges if purchased alone. 15. We also sell Cassia (neutral Henna) that gives the same benefits as Henna without the orange color. It is suitable to repair damaged hair and treat all scalp issues without getting any orange color. To purchase, you need to do an NEFT/ IMPS online transfer to our company bank account or drop an account payee cheque at SBI. Rs 60 extra fee for cash deposits. This fee is charged by the bank. If anyone deposits cash to our account without adding the bank fee, we will not process the order. Inconvenience charges would be deducted and remaining amount would be refunded. So please recheck the amount if depositing cash. International shipping through DHL. Shipping charges need to be paid by the customer. Please email us for our international packs. We provide these herbs in 100 gms packing of excellent quality for a higher shelf life. Premium quality Henna and Indigo are mostly exported and what is sold in India is mostly impure herbs. While you can use any Henna to try this method, but the fillers may harm your hair and health. Fillers mean rubbish material added to henna or indigo to increase the quantity. Only Henna leaves contain the orange dye molecule but suppliers sometimes grind the stems as well as leaves of other non-coloring plants and shrubs to increase the quantity of Henna powder. Further textile dye is added to this to give a dark orange color making you think, wow, this henna is really nice, when it is just the chemical dye. Colored wood powder and sand are also added as fillers in the market available henna. Our Henna and Indigo are very finely powdered and triple sifted to give you the most value for money without playing with your health. Moreover, the finer the powder, the better it sticks to your hair to color and nourish them. There are many brands available in the market where Henna and Indigo are mixed together as one powder along with other herbs. The price ranges anywhere from Rs 175 to Rs 1000 for a mere 60 gms to 100 gms packet. This may color your hair for a few days but fades off within a week. So it is no value for your time and money. Moreover, this gives a brownish to purplish tinge to your hair and not natural black color. This is because Henna and Indigo require a totally different environment for releasing their dye. So if you mix the powders, you will not get optimum or long lasting results. We tell two methods in our guide to use Henna and Indigo to get natural black and dark brown color according to your choice. The method used for black hair color has more long lasting results and involves 2 steps. The method to get dark brown hair color is shorter but the results may last for less time as compared to natural black hair color method. Thanks to luring advertisements and tonnes of chemical based products being sold in the name of natural products, India is a fast balding country right now and people who go for hair smoothing, streaks, rebonding etc come back to switch to this method after paying very good money to damage their own hair. In the long run, this natural hair coloring method turns out much cheaper and completely safe as compared to chemical hair colors and will ultimately be the GO thing for everyone because no one can survive on chemical hair colors without facing any problems for more than a couple years max. Thanks a lot Radha :) Henna does give a lot of shine to hair. Thx so much for the real and good info blog...I am a new member of the blog... this post is so good.......its unbelievable henna n indigo cn gve such colour..Plz tell d procedure to b followed...and pls tell whr cn i gt pure indigo?i recently bought henna from baba ramdev pharmacy...without indigo cn v gt good colour? ?and hw many time we wnt to apply henna in our hair??? You are welcome. The method to use Indigo is entirely different from that we use for Henna and these pictures are more to give you a fairer idea of how it works. If you need details how to put Indigo to use and get proper dye release, reach out to me on email. Dear Mam, I had received one email from you a few days back and today I have sent you the details. Please check your inbox or spam folder in case you can't find it in your inbox. thanks for sharing... !! natural is always the best.!! Thanks Reshma :) I am with you on this. I wish I will never have grey hair. It looks so bad. I hate chemical products. You are quite young and have a long way to go. Do give this a try in the future. Thx so much for the info. I am already a member of the blog. How do I access the info meant only for members? I didn't get the latest article in my email, instead i got it in my facebook account. Could anything be wrong with my email subscription? Hi Sree :) Actually bloggers have to choose a time slot when their post is emailed out to the members. My posts go out between 11 am to 1 pm. Since I posted it last night, you should have received an email today with this and another post. This post is really nice....i love the pictures n love the result too..
Golden brown can be achieved with Cassia and a little bit of Henna. But as you have chemically treated hair, cassia may go green on your hair. In case there are any grays to touch up between your two color applications, you can also try full dye released turmeric. It can stain your blonde hair for up to two weeks. Try on a small patch first. You can check a local herbs store for Indigo and Cassia. If you get Cassia, buy a small packet and do a patch test on your color treated hair to make sure what shade it gives. In case you are really considering shifting to Indigo, email me. I will send details on how to buy from India. Glad you found the pics helpful Malikah. And among all the mess on my head, you didn't fail to notice my eyelashes...now that's what you call an eye for beauty or beauty in the eyes of the beholder :) Thanks for the compliment. You made my day. I give all my blessings and thanks to you that u saved my hair. i have a 70% grey and this heena and indigo works.Otherwise color had totally damaged my hair. Although its messy and time consuming but it works. And its really nice of u to share your experiences with these 'all-natural' things when the market is flooded with so many chemical based and at the same time costly products.. Thanks a ton Carolina. I am surprised you went through this article even though it may not be related to you. But yes, you can surely share with your elders who may be using hair colors for years. Yes dear, even I get surprised how some companies that claim to be natural or organic are selling pure chemical to users shamelessly at ridiculous prices. I will do a post on shampoos soon which do the same. Well this goes to say u THANKSSS a tonne for ur wonderful tips. brown color and followed it a week later by the two step henna + indigo application..and I could not have expected better results..it was just Awwwwesome..I got 100% grey coverage and the hair color was natural dark brown.. I just couldnt have asked for anything more.. I want to thank u a lottt for ur expert advice..its gudbye frm me to chemical colors..and the credit goes to you.. Many many thanks once again.. Thanks a ton for sharing the feedback here Yasir :) Appreciate your time. Dear Neha, congratulations first of all. For security reasons, you should not leave your email ID publically like this. Please read the 'About and Contact Me' section above and the 'Blog Policy'. You will find my email ID there. I will send you the details asap once you become a member as mentioned in the blog policy. Please let me know the full procedure and where to buy indigo?? 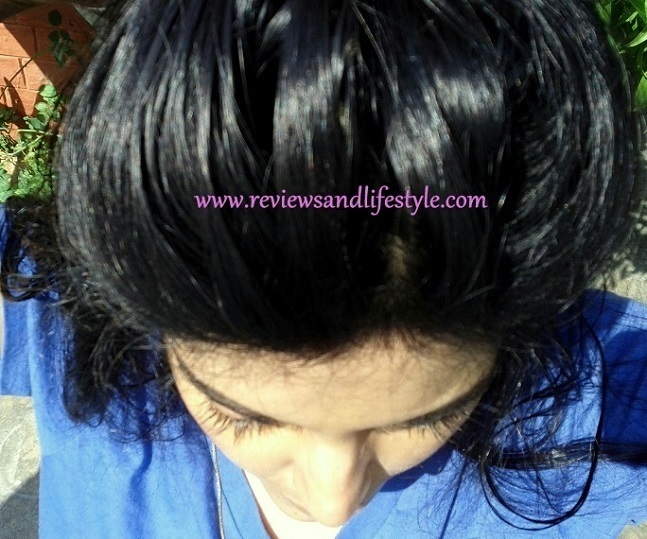 Hi Riya, the Henna Indigo procedure details are currently for blog members only. Please read the blog policy for membership details and email me once you have become a member of the blog. First of all super awesome articles & entire blog. I have not seen a non profitable blog so so informative. Q1. So can i apply the henna remedy on my hair directly ? Q2. Would be great help if u can send it on my email id, i have subscribed on both FB & ur blog. I have a holiday tomm, so if u can reply earlier with detailed remedy method, i can try that asap ! god speed !! great article,.Even I would like detailed instructions on coloring my hair with indigo and henna. I have never colored my hair ,so could you kindly give me detailed instructions on coloring my hair,like how much henna and indigo powder would i need for hip length hair.A step by step instruction would be so helpful. Also how can I order Indigo and henna ? please help,as I am totally clueless. thanx a tonne as your article saved my hair.as before getting details from u abt indigo, i have no hope dat i could save my hair from these harmful chemical dyes. and wen i use this heena + indigo on my hair the result was just Awwwwesome..I got 100% grey coverage and the hair color was natural dark brown. Dear Jalpa, thanks for subscribing. Your subscription is complete and I have received your email :) Please wait and I will send you the details over email. Need to answer previous emails first. Will try to be quick. Ma'am, can u guide me from where can i get pure indigo powder and also the procedure for applying heena with indigo?? Thanks for your patience Navratan. I will try to send the details today. One of the best blog that I've came across, such good information, thanks so much for sharing this information. I was about to start with chemical colours, but reading this blog has motivated me to start afresh with natural herbs colours that are resting in my shelfs. Thanks a lot. Hi Gaganpreet, I followed the directions emailed by you and the results are amazing! !I got extremely well grey coverage. My hair became dark brown and now they are looking natural black. My hair are very smooth and shiney now. Henna +Indigo really works well but only after following the right procedure as you had specified in your email. You are the best and a true Diva...Thanks a lot Gaganpreet! ! Thanks for trusting my procedure and also for taking time out to share the feedback Satej. I feel equally happy for you. Regards. Hi Gagan...ur hair luk just awesome...i also aplly henna bt hv nvr tried my hand on indigo...can u pls tel me d procedure? Thanks Sandeep :) This information is only for blog members as mentioned in the second last paragraph of the article. Feel free to email me once you are a member. For details, please read the Blog Policy tab above. Sandeep can you email me as mentioned earlier? I will send the details in a few days in reply to that email, once I am done with the previous ones. You might need to wait for a few days. If I email you directly, it will land up in your spam folder. Thanks Jyotika. I saw your email. The Henna Indigo detail is now paid. I have updated the details under blog policy. I will reply to your email but a little late as I have personal commitments for the next 10 days or so. So not replying any emails at present. HI, please help me to get this trial packs..
Dear Harsha, please email us at lifesutrabygagan@gmail.com so that we can send you our bank details. You just transfer the money to our bank account and then give us your address details to courier it to you. I would like firstly congratulate you on a wonderful informative blog. Such a lovely insight comes from interest and serious inclination of the subject in hand. I have just subscribed to your blog. I'm a 32 year old 1st time pregnant woman from hyderabad. I got my hair rebonded ( about 3 times) though i have naturally wavy hair and chemically coloured once last year may when i started sprouting grey hair. Post colouring everything was fine for a few days but once the original hair starts growing back it is not the same nice feeling. I have also noticed that i have started having hair fall problems since than. I have discontinued after just one attempt and have not gone back for touch ups. I have chanced upon your blog and am interested in natural colouring (being chemical free)of hair using henna + indigo. I hope they will not affect my pregnancy. Could you help me know where i can get these products in hyderabad and how should i go ahead with the application and the entire procedure. Dear Srujana, thanks for your inclination towards natural hair coloring methods and congratulations on the new phase of life you are moving towards. It is an absolutely safe method to be used in pregnancy though requires a little effort. For details on Henna and Indigo consultation, please refer to the Blog Policy tab above to see the consultation charges and email me to proceed. 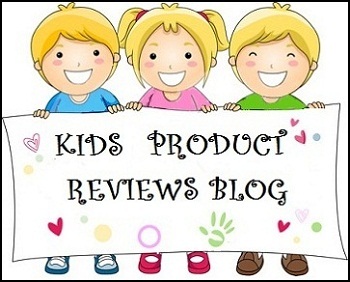 Chanced upon your blog today while searching for reviews on Viviana products and this post also showed up. I have never dyed my hair using chemicals but have used henna with other herbs, mixing them at home to make a a combination which faintly covers my grey hair. I do not wish to go to the parlour as most DO cheat in, ading dyes in some way or the other. Your post here has me very excited and I would like to know how to color my hair using Henna & indigo. Where can I send you the email? Dear Purvi, you can find my email ID under the 'Contact/PR' tab above. I am not writing it here because then people start emailing without reading the blog policy. The info you are seeking is paid now (since Nov) but you can email me and we can discuss your present method of Henna paste preparation. If you are already doing that correctly, I may discount the consultation charge. Please check the Blog Policy tab above for details. Actually I am happy with Henna and Indigo. Lush colors are super costly so I haven't tried them yet as I need more quantity to cover my hair. But yes, I had read a review a year ago which said it doesn't cover grays properly. Do you want to use it as a fashion hair color or to cover grays? Please become a member and send me an email reminder so I can check the ingredients for you. I maintain a to do list in my inbox and sometimes forget if it is just in the comments. Dear Latika, thanks :) Are you already using Henna or any hair colors? Henna Indigo guide is paid as mentioned in the Blog Policy, but if you are already using Henna, please email me after becoming a member and we will discuss this further. For details, check the Blog Policy tab above. My name is Priya.I read your blog a few days back and i found it very nice as i have gray hair since i was in 8th class.I tried a lot of things but everytime i failed and then I started using henna but that gives orange colour to my hair and after reading your blog I decide to use indigo with henna but i am unable to find indigo in market.Please help me out and tell me where do I get indigo? Hi Priya, it is not sold as such in the market and needs to be procured through special resources. Please read the 2-3 comments before yours and you will get your answer :) Then if you have further questions, feel free to ask. Indigo is sold by the name NEEL and is often used for cloth washing. If it is of a good company, it can be used as such. Pansari shops also sell it in liquid as well as powder form. Thanks for such an insightful reply Mr Kapoor. That humbles my months' of research and experimentation. Out of that immense sea of knowledge, kindly apply some common sense and check the pics above and see if the green powder shown above looks like the neel you get at a pansari shop? Dear Priya, as mentioned in the comment just before yours, Henna Indigo guide is paid. Please refer to the Blog Policy tab above. But if you are already using Henna or need just the list of suppliers, email me for a quote. Very informative. I am a male but want to rid the chemicals. Will try. This comment somehow landed up in the Spam, just noticed and approved it today. You may try it dear but don't try it with the neel from the pansari shop. That contains lye and other chemicals and may harm your skin. And even if you don't want to try this method, you can email me and I will share an easy solution for you. As mentioned earlier, you need to email me for my bank details and consultation charges. Hi my name is arun and ur blog was very informative. My wife and I were surprised to see the amount of research u have done. My hair started graying a few years ago . Though I initially used henna then I switched over chemical colours. I started losing hair and I realised that it could be because of chemical colours only after I read ur blog. I wanted to use henna and indigo , so can u help me how to use it? I have not coloured my hair for the past 2 months. Waiting for ur reply . Can u also help me finding indigo and henna in the market. Thank u.
Mam send your email I'd. Dear SIndhuja, you can find my email ID under the 'Contact Me' and the 'Blog Policy' tabs above. But I answer emails only from blog members. So please read the Blog Policy to know how to become a member and then you are welcome to email me. how much gap required to apply indigo after washing heena? kindly send me the whole process of applying. Hi Pranav, please read the Blog Policy for details and you can then email me for the procedure. Also, if you are already using Henna, you need to let me know the procedure you are following. You can also read the comment right above yours. Dear Srikanth, sorry for the late reply. I was out of station last week and didn't have ready internet access to answer comments. The Henna Indigo guide is paid and the fee details are mentioned under Blog Policy tab above. The quick 10 min and 25 min hair colors are really dangerous. Please avoid them in the future. If you need more information on Indigo and how it works, so you can decide if the Henna Indigo method is meant for you, you can email me after becoming my Blog Member. The membership details are again mentioned on the Blog Policy page only. VCare shampoo hair color sounds like an interesting product but I had thoroughly studied it for someone. It is chemical based and is like any other 10-15 min quick chemical hair color. The box clearly says that it may produce severe allergic reactions in some people. They have mentioned only the key ingredients which they are claiming to be natural, but in fact they have used those natural ingredients simply as a base for the chemical ingredients which will actually be coloring the hair. It is NOT possible for any natural hair color to color your hair black in just 10-15 min. Hi. Liked your post. I have been thinking of switching to natural hair colour. I have almost 70 percent grey hair and do root touch up regularly. I have done henna in the past but wanted a darker shade and thus switched to loreal hair colour. Please tell me If I want to switch to the Henna+Indigo combination, which is a good, genuine brand I should go for? Dear Anand, a reply was sent to you. Kindly check you inbox again and in case you can't find my email in your inbox, please check your spam folder too. Once you find my email, get back to me with the details I have sought. Could you reply to my mail which I have sent yesterday. Hi Vinodhine, we have already communicated over email right after this comment. I have natural dark brown hair but recently i've been noticing a lot of grays which are freaking me out! I've never dyed my hair cos i'm very happy with my natural hair color, but sadly have to do something for the grays. I've read your article and what I see pleases me a lot! Can you send me the details on what I need to do? I understand that the service is paid, and that's cool. Do let me know. Hi Nupur, I think I had received an email from you the same day and answered it. But in case I am mistaken, please reach out to me at the email ID given under the 'Contact Me' tab above to proceed. I have already registered in the blog and mailed you for some details. Hi Dutt, yes I know and you had received a reply from me too, I just noticed the second reply I had typed was still sitting in my drafts. I just sent it. Sorry, sometimes it is so crazily busy I get up in between and totally forget what I was doing. Thanks for your patience. Please check your email, I have already replied. Where can I buy the henna and indigo online? I want to go chemical free too. U really have come as a life-saver for me with this specific article. I'm getting to notice few gray hair (very very less in number) on my head and feeling so tense coz its my all-time committment to myself NOT to use chemical hair dyes..but i wanted a solution to color those gray ones. though i have no idea of where to buy these..I'm feeling so relaxed now that something natural exists to treat my hair the way i wanted. You are very welcome dear. Actually Henna and Indigo make hair very soft and beautiful so you can use them as such also even if you don't want color :) I am glad you found this interesting. I want to tel you my experience of covering grey hair .Previously I used to use henna alongwith home tips like tea/coffee etc.But whenever I used to go to parlour at various places they used to coment that heena had made my hair very hard & brittle.Moreover my hair had grown more grey so they used to look more red so I switched to unnatural dyes like loreal,innoa,garnier,etc....But no satisfaction. Recently someone recommended to use Godrej Hair oil black with amla .It has to be used for 3 days for min 3hrs to full night.Only thing is it is like oil so it does not become hard .But my concern is how hair oil can colour black without a chemical in it. Today I read about henna -Indigo combination so I want to know about it completely. Where I can get indigo & which is this plant. Hi Madhuri, sorry for the late reply, Since you have commented under someone else's comment, your comment missed my notice. I had not head of this Godrej black hair oil with Amla. So thanks for letting me know about it. It sounds like Super Vasmol Kesha Kala and from the usage instructions you have mentioned, I think it also has PPD like super vasmol kesh kala. Parlor women misguided me also for many years regarding Henna. They will tell you that Henna makes you hair dry and brittle. But that happens when you don't really know how to make it work for you. The traditional method of soaking henna in curd etc in an iron container is what cause henna to spoil your hair. When used the correct way, it glazes and coats a layer of protection on every single hair strand and actually makes your hair soft and silky. But you also need to use good quality mild shampoo along with it. If you use sulphates based shampoo with Henna, hair will be dry and brittle. Since you are already a member of the blog, please feel free to email me at the email ID given under the 'Contact/PR' tab above and I will be happy to discuss this further. 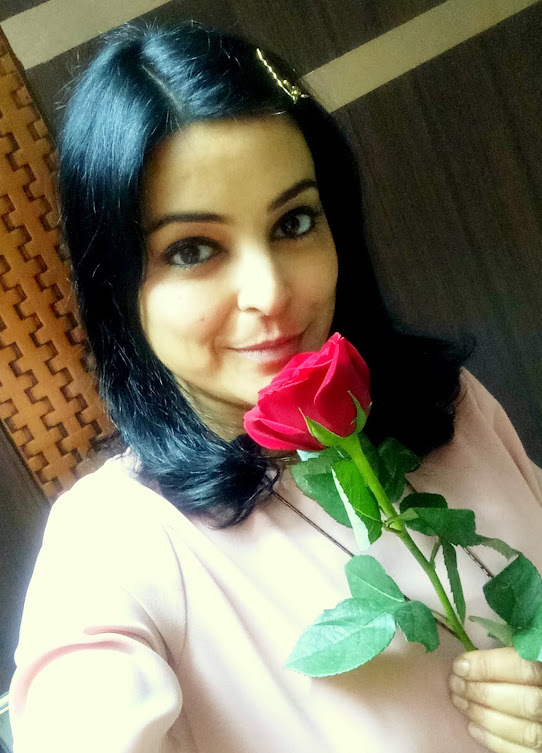 hiii gagan..i came across dis blog as im searching for alternatives of chemical hair colors... i found did article gud...i have gray hairs.. nd very fed up wit salon visits..i used to do heena 4/5 yrs ago..then i switch to garnier then loreal.... recent one is loreal innoa...but my hairs r becuming rough, dry, frizzy...nd lifeless...want to know abt this procedure nd all other details. Dear Priyanka, Garnier is the worst hair color in the market. It burns the scalp, causes bald patches and some of my clients have life long PPD allergy because of Garnier only. L'Oreal Innoa is NOT ammonia free and can cause severe reactions on the scalp and hair. You can email me after becoming a member of my blog and get more detailed/eye opener info on L'Oreal Innoa. The Henna Indigo guide is paid. Please email me for a fee quote. My email Id and details on how to become a member are given under the 'Blog Policy' tab above. Dear Usharani, I share that information as a part of the paid guide only. This blog is awesome. I want to know more details on the natural hair treatment (henna+indigo). I have sent you an email. Please help me out. Eagerly waiting for your reply. As per your advice, I started henna & Indigo method. Results are amazing. Initially when I started the process, my hair quality was dry, but now with each henna indigo application, I can feel the difference in the quality of my hair. My grey hair are now black, soft & silky a d my hair fall is also less. Also the shampoo and conditioner recommeded by you is awesome. I dont think there is any need to go to parlours for hair spas and splurge money. Thankyou Gagan you have saved my hair. I will never go back to chemical hair dyes now. I am sreekala ....hailing from south i.e Kerala. I have just thought to check about chemical free hair coloring. Finally reached your blog and i m very happy to read about you. I have tried henna with curd and it has shown good results. But it shows orange color instead of black. Need to know about indigo coloring were to do i get from Calicut, Kerala. Dear Sreekala, thanks for your interest. You can buy from us and we can courier it to you. We ship within India and also to other countries. You can email me to know the price. Yesterday when I was browsing through natural ways of coloring hair I landed up on your blog. I couldn't stop myself from reading the n number of questions and answers on your blog referring to the use of henna and indigo for coloring hair in a natural way. I was so impressed that I decided to subscribe to your blog right away! Kudos to you for doing such a fab job ! Thank you Amruta for deciding to go for natural hair coloring. It makes me happy to see the younger generation finally making efforts to try out natural ways. Thanks for subscribing and I will be sending your consultation soon. Need to finish the ones before yours and I really wish you love the results. Thanks for the precious feedback Viji and I am equally happy it worked for you. Hope it will now be very less maintenance for you. Thanks again for taking time out to share your feedback here. I am soooooo happy to come across your site. I have been henna indigoing my hair for a few yrs. I was not cable to get the color I wanted. Your detail guide helped my to get the color I wanted. Thank you sooooooooooooo much. Now I don't have to worry putting chemical on my hair. It is all natural now. When I came across your blog I was very excited to try out the Henna and Indigo hair coloring, infact I had earlier tried the commercial products of henna and indigo but was not very happy with the results since I used to get blue shade which I am not sure why. When we discussed this you gave me the exact place and product to buy along with methods of preparation and application. I followed the steps you guided me and the results were awesome, hair stays black and lasts for many days except that I need to retouch on the base once in 15 days. Also noticed that hair strands are healthier than before because of the natural way coloring and this is method is pocket friendly as all the products are much cheaper compared to commercial products. Would like to thank you lot for your time and sharing your recommendations. Hi Murali, appreciate the feedback and am really happy that this method worked for you and no more blue hair :) Well I noticed your profile pic when you messaged me on Facebook page recently and your hair do look awesome and the color so natural. Since you have very short hair, I understand the need of root touchups every 15 days. 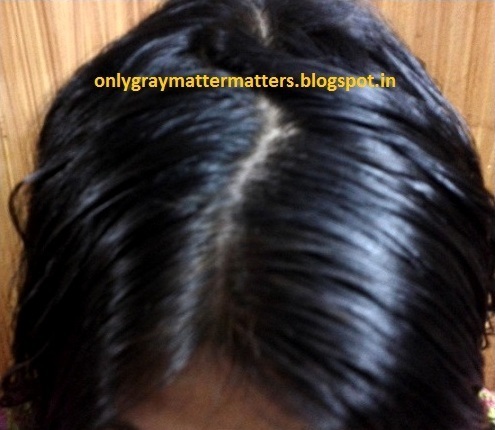 We do get 1mm of new silver hair growth showing within one week, whether we use henna or hair colors, but with long hair, that is mostly camouflaged and you can go for up to 3 weeks easily without considerable grays showing up. With the right products used along, there is no color fade and only new roots need coloring. Thanks again for letting me know of the results. All the best. I registered and sent an email.I haven't received any response. Could be you are on vacation :). Just a gentle reminder incase you missed my email. I did not know which profile to select. Dear Sujatha, as we had been communicating over email, I just noticed your comment was left out unanswered here. Glad to have you as a client and so happy that your mom is also now using this method. This is Manjiri. I want to place order for heena.But previously I want to ask you that is Brown colour is available in heena. This is an awesome blog. Like you said, when you had sent me the mail on this, i had bought indigo and it dint work very well. i am interested in buying henna and indigo from you. I am also interested in the hair care guide.i have mailed you regarding this. please reply. Replied already dear. Please chk my response under your next comment below. Thanks a ton for your step by step guide to natural hair colouring method! Last year when I had to start colouring my hair, I came across your blog and subscribed to your natural hair colouring method. I am following this since then. I have never touched chemical hair dye and very happy to have black soft hair natural way. All the thanks to you ! Dear Kiran, thanks for taking time out to share this feedback and for being our regular customer. Regards. I have sent you mails regarding purchase of henna, indigo and the hair care guide. please reply. am waiting. Dear Bhamini, I had replied to your email on the 20th. Please check and revert. In case you don't see my email in your inbox, please make sure to check your spam folder too. Gone thru ur article and would like to try your formula. Plz guide me to how to go abt it.sending youa detail email also. Hey, I am not sure which email is yours as you have not used a proper name in the comment. Can you share your correct name with which you emailed me? Or email me again to bring your message to the top of my inbox. I do have many unanswered emails from past few months as managing the new business and juggling with the facebook comments, blog comments, emails, packing orders etc. We would like to help you. I've been dyeing my hair for the last 15 years using mostly 'Just for Men'. However, for the last six months I've been using Bigen as the previous one is not available in India anymore.Both the dyes are 5 minute dyes.But recently I've observed thinning of my hair. Ive gone through your article .Kindly guide me . Dear Vinay, both the colors you have mentioned are extremely dangerous and cause a high number of PPD allergy cases every year. You can go natural and that would eliminate all the problems within 6 months. However, as our products do not contain PPD, they are very mild, true natural plant colors. These take time to work. If you have the patience and determination to go natural, you can complete the membership steps given in blog policy and then email me on the above mentioned email IDs. 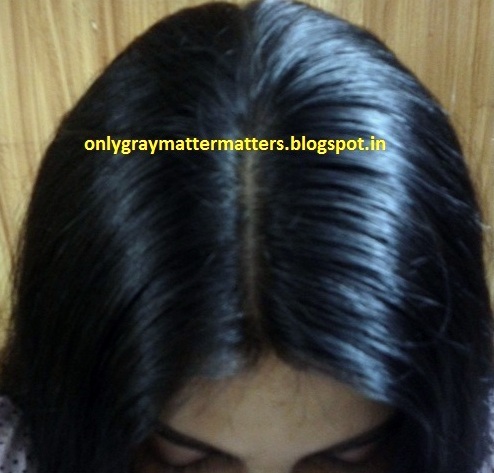 hi gagan i want to use this heena & indigo formula i am afraid with my hair loss problem, gray hair, and rough hair. how i can start this i want to purchase heena & indigo. Dear Kajal, thanks for your emails. Have replied to you and guiding you further over email. Ur doing really well job, Really appreciate it .where entire 60 to 70% world lagging of with these issues. Ur doing different with ur research..Good luck. Most of the people asking same questions mat be it makes u irritate i hope. Am really sorry for this. My small request is.. in your blog plan for recorded videos for common questions. surely be it will help us. I came across this blog when I wanted to try hair color for my hair. When I went to through this blog, I was very excited to try out the Henna and Indigo hair coloring in natural way. I have no words to appreciate your approach and your guide with full details and method of how to use the products was really awesome. I could see a good change in my hair texture and I had a itchy scalp which has reduced drastically. Would like to thank you a lot for your time and appreciate your good work that brought a change in me. 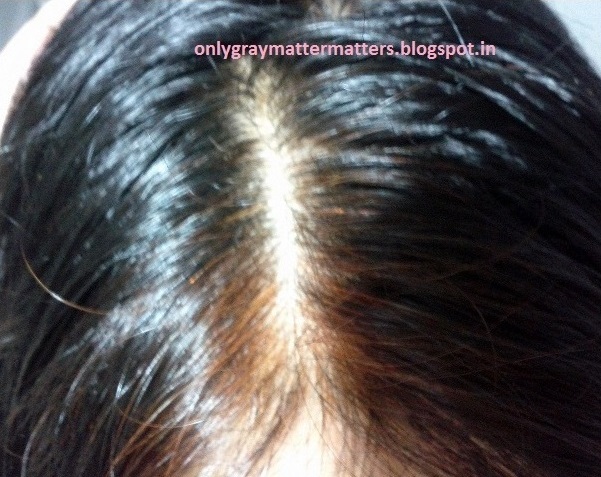 Dear Priya, thanks for the trust you put in our natural hair coloring method and product. I am glad it helped you get rid of your scalp issues. Glad that you have made the choice to give some time to yourself amidst your busy routine. Am sure your kido is gonna be really happy to see the new you. All the best and thanks for taking out time to share this feedback. Regards. Thanks a lott for your very informative guide. I used your product and method i got a perfect black hair. My hair looks shiny and black. I don't have any itchy scale. I appreciate your timely response for my query. I am 100% satisfied with your product and method. My friends and family who recommended chemical hair dye surprised by the result of natural colouring method. All the credits goes to you only. I am very delighted that i found you. Keep continue with your great work. Dear Nirmala, I appreciate the time you took out to share this review. Thank you. Yes, I was happy to know when you shared in your email that it surprised your friends and relatives to see that even herbs can color your hair black. Sorry I wasn't able to reply to your email though its still in my to dos. Awaiting to hear from you on the new experiment I had shared. Also, we got another order from the UK, seems you had recommended someone. Thanks again and am happy our product and natural hair coloring procedure is working for you. I am 22 yrs old and got hair turned grey when I was in class 6th. So I believe this proves my patience and experience with Heena . 2. It only works if you have applied henna coating first,washed it off and then again a coating of indigo . 3. It REALLY DRIES YOUR HAIR along with fingers if you are not using a brush to apply it. Dear Grewal Ji, the usage instructions are provided free with all our product packs. We do not provide usage details to people who are not our customers. Kindly contact the brand from which you bought your herbs and they should be able to tell you how to use. I have just subscribed to your very informative blog. It is really nice to see your interest so well etched out with all the experimentation and first hand information you provide. I am a 27 year old male with almost 30% gray strands in my hair. I've never resorted to chemical colours and have been using henna for quite some time. I am highly fed up of the conspicuously ugly orange tinge it lends to my hair. Your blog has rendered me a hope. I , very earnestly, seek your guidance . Thanks for all the good work. PS : I've also sent you an email. Waiting anxiously for your kind reply. Dear Somesh, thanks. I did get your email but didn't get a chance to revert. Actually we are not taking consultation request from non-customers at the moment due to time restraints. Would love you to first try out any our trial packs and once you are happy with the product and results, we will be happy to take you further from there for a smooth transition via the guide and consultation. Thanks for your understanding. Hi Gagan! Great post.. pics of your beautiful tresses give a little hope. I have fine hair which is greying fast and im also suffering from hair loss due to dandruff. Im looking for an all natural solution to my problems as my scalp is sensitive to chemicals. Please let me know the method of using henna and indigo dye. Dear Anoo, I had received your email in seeking advice on the same and you had mentioned you have a henna stock and want to know how to use it. Would love to help but we are overbooked on consultations till November. So due to time restraints, we are actually not taking consultation requests from non-customers at the moment . Its really very busy at the moment and we want to be able to pamper our own customers in the available time. Should you purchase our products in the future, you can recheck with us on the consultation. Regards. Hi Gagan, I have e-mailed you for the details, please check. Thank you!! I have replied a few days ago. Hi, I have sent a mail to you for bank details. Dear Raj, please email us at lifesutrabygagan@gmail.com so that we can send you our bank details. You just transfer the money to our bank account and then give us your address details to courier it to you. Will there be everything in the guide enclosed about how to use the product in winters. As I am asthmatic, i need to know all that also. Kindly reply. Thank you so much for replying my every single query in email. I really liked the products. I am completely satisfied with the products and the tips provided. The color looks natural and the hair becomes smooth after applying Henna. I hope you received my email. Please reply , i want to try the product asap. It is becoming very difficult to wait. Please send me the details of how to order. Please reply. I had sent you a mail also. Your blog is just superb. I really want to try it. I have sent a email to you. please provide me the procedure of how to order the trial pack. Your blog is superb. I am also facing the grey hair problem. I want to try your trial pack. I have sent you a email. Please provide me the details of how to place my order. Firstly, thank you so much for the amazing product with attractive packing. I used the henna indigo pack yesterday, really it was superb. i got d dark black color. i m so happy. now i have a query. I used d first method u have given in instructions. can i use second method next week for soft black/dark brown color.... Please enlighten me for dark brown color. Yogita check on amazon. You will get the same product for 229 rs.she sells for 500! Hey uncouth woman... you don't deserve the respect to be called a lady: There are things called decency, respect, common sense, intelligence, appreciation for the finer things in life, eye for beauty, ability to understand 'quality' etc. I'm sure you have never heard or experienced or were ever passed on these qualities by your parents in your upbringing, which is why you are so frustrated and bent upon spreading unhappiness in this world. Too bad for you, Yogita and 99% of other other people who have commented here are already our customers now and have purchased from us. After our yesterday's encounter and your emails full of shameless bickering and expletives, and then coming to my page and writing indecent things, I could have given you a piece of my mind publicly yesterday itself. But I chose not to stoop to your level. And today exactly after 24 hours you seem to have gotten the same fit. Please seek some professional medical help Aditi, you really need it. You have worked in a transport company and this kind of uncouth behavior may be very normal for you, but this is MY BLOG, MY sacred space and I won't let ANYONE dare talk nonsense over here. To ans your comment, you are clearly used to low standard products and clearly have NO idea about how herbs should be packed and stored and what are the quality standards for herbs. Commonsense: You can get a piece of rag from roadside flea market, or buy a decent shirt from a small shop, a better quality from getting it custom made by a tailor, or buy branded stuff. All vary by price and quality. You can get a shampoo for Rs 60 and even for Rs 3000+. It's all about the brand, the ingredients, the quality and the platform you are buying from. You trusted us and that's why you placed an order with us. We didn't go out seeking you. You bought a mere trial kit from us, didn't even use it and wrote back saying you want to cover up your hair for a function and want to use chemical hair color because in your words you are looking like a 'red aunty' right now. And on explaning to you that jumping between henna and chemical hair colors spoils your hair and causes hairfall, you suddenly started behaving like a maniac. All this drama because after ordering you suddenly wanted to return it and the product was already shipped and you started throwing tantrums thinking we don't understand your gimmicks? I even offered refund asking you to ship back the unused product in the exact same condition and that we would return your money after deducting courier costs, which was fair enough. I spent an hour sewing the packing, put so much labor into it, spent courier costs too and then you started hurling cusses and abuses at us for even offering you refund because you didn't even want to ship it back. Honestly till now I haven't been able to reckon your abnormal behavior and foul mouthiness. I maintained my decency and kept quiet last night. But enough is enough now. The only reason I am typing this comment here is to set it straight for you and for everyone else that every brand has its own pricing policies. The quality we are offering with excellent packing and free shipping is unparalleled. You can see Tvam selling henna and indigo at Rs 4500/Kg. We are offering you higher quality, better packing, NO shipping charges at just Rs 1800/Kg. Rs 180 for a packet full of pure herbs, goodness and absolute delight for your hair. Even competitive brands are selling at Rs 2000/Kg with extra shipping, and still people are not given usage instructions and there are fading problems. We even give free usage instructions. We are all about quality and customer delight. People like this woman are like a stone thrown in the water. They create ripples and then just sink down deep in the water, where no one ever notices them again. And hey woman, I just checked your favorite henna indigo combo pack of Rs 229 on Amazon in ziplock pouches with powder leaking at the top... just perfect for your low quality standards. You can get even cheaper sellers out there. Go and try other qualities and THEN judge. Powder that is exposed to air oxidizes and does not provide color and is a waste of money, Packing of herbs, the temperature and humidity at which it is packed, hygiene, weighing to the perfect point,accounting for moisture loss after some time, testing every batch on my own hair, then getting every batch tested at a lab... there's a lot that goes into packing each batch... a lot of costs that we pay before delivering a perfect, pure, high quality product to our clients. We provide very thick foil pouches with a shelf life of 2-3 years and with 100+ gms of herb without including the packing , as opposed to other sellers who include the packing weight in 100 gms. Why are you inviting my esteemed clients to come join you at your low standard flea market? You think you are intelligent and others don't have the sense to search online? How DARE you consider my clients' intelligence and IQ as low as yours? Go buy Khaadi, which sells you for equal pricing and the color doesn't even stay for 1 time properly. The foul language and F* words you hurled at us yesterday so clearly define you and your cheap mentality. We pity your frustration with the world and other finer beings around you. We understand you can never be like the rest of us but still we pray God bless you Aditi. Being uncouth wouldn't cure you. May you soon find some medical help or sanity and the courage to accept that there can be good and beautiful things in the world despite all your criticism and curses you keep yelling. You can keep typing comments around my blog. We have a respectable platform and we do not tolerate fleas like you either in our life or in our business. I think I need to comment for aditi.I just tried the products of lifesutra and I cannot tell you the extent to which I am satisfied. I have just washed my hair after the process and I am happy with the results. You need to trust someone and that is what I have done. I came across gagan only after searching for a suitable product for so many days and at last I got some one genuine. Thanks Gagan for henna indigo pack..I used it and must say result is amazing.Finally I have a chemical free colour on my hair.The packing was really good. Thanku for ur advice and help. Hi! I have goe thro' your entire blog. Would like to order value trial pack of Rs. 1165/= + Rs.50/= bank charges. Are the specific instructions inside the pack so as to avoid "dry brittle and ugly looking hair" post any henna treatment? Pl send your bank details. I have registered with your blog and even activated email account but my mail to your both email ids above is not going thro'. Hey Parul. Wonder why you used the name Pooja here. Thanks for purchasing from us and completing our century :) The reason you were not able to get through my email ID earlier could be because many times readers type mt email ID as 'onlygreymattermatters' with grey with an 'e' instead of the american spellings 'gray'. This happens quite often and finally you could get through the lifesutra email ID. We do not encourage or appreciate anonymous or wrong identity used for comments so please comment with your Google Account ID or the correct name. Thanks for your co-operation. Thanks again for giving personal attention to your clients.We feel so special. The track that you keep is appreciable. You care about the minutest details of the clients. I'm very happy to have found you. Thanks a ton for your constant support Yogita. It takes a clear heart to identify our honest efforts and appreciate them and you are doing that for us. All your support, encouragement and faith means a lot to me and helps me keep going on the right path. God Bless You too! What is guarantee that ur hennna doesn't have chemical dyes? Shital, this blog is 3.5 years old and all this time I have been guiding people on a life away from chemicals as much as possible. It is mentioned in clear easy words right at the top of the article "Color your hair without chemicals". If you do not understand that, please don't purchase from us. My cousins, family friends, family members and I are using the same herbs that we are providing to our customers. There aren't even any pesticides used in these crops so these are of organic standard per say. I have already put enough time to mention the details in the article as well as in the comments above. There is a lot of info already given in the article and in the comments before yours regarding the purity, quality and lab testing. Take out time to read through it. Regards. Thanks Shital and we assure you that your trust would be fully honored. I follow one simple rule in my business, if I cannot dare to put a product on my own body, I will NEVER EVER suggest it to any client or reader or friend. I personally test each batch first on my own hair and then only we start with that batch. So yes, just make that leap of faith and the results will speak for themselves. Hi mam im 23 years old I have this premature greying problem since 3 years and I don't want to colour my hair with chemicals I decided to try color but I read ur blog so I think I should try ur product plss tell me where I can get it.?? Dear Nida, thanks for your interest. Our office was closed when you emailed us and we just resumed work from this week. Just email me at any of the email IDs mentioned above and we will guide you further on placing the order. I am using henna and indigo from market but that is not giving me proper color and also making my hairs dry,frizzy and rough. You can try our premium quality herbs and change your experience to a positive one :) Just email us at any of the email IDs given above for further guidance. Got your kit. Amazing meticulous packing. Very detailed informative application process. Conditioner mentioned in your PDF does not seem to be easily available online. So would need your guidance for that. it will need sometime to get used to the process but the promised end result makes it much more worthwhile. Thanks received your kit....meticulously packed with detailed application info. I am unable to procure conditioner mentioned by you online. ( tried amazon & snap deal) so your guidance for the same as well as for shampoo & oil would be welcome. I guess you have to fall into routine with this dyeing process but am sure that the promised results would make it much more worthwhile! Thanks for your comment and received your emails too. Would answer them shortly. The conditioner can be easily procured from even a small chemist shop. I am sure it is easily available in Mumbai. Yes to reap maximum benefits out of it, you need to use it regularly as it also provides protection from environmental damage and day to day wear tear. Rest of the info you have asked for, I will reply in email tomorrow. Dear gagan, i just underwent keratin treatment and i also colour my hair. M so fed up with it. My hair is 50 percent thinner than it was when i started coloring it 10 years back. I want to stop now and revive it before its too late. My hair is dark brown in color. Please advise a suitable package for me. Dear Tani, you can achieve natural black hair color on your color treated hair. The dark brown color wouldn't wouldn't wrk on your hair and would wash out in just one shampoo. The color you see in my pics above is very dark as it is right after indigo treatment. It tones down to natural black after you shampoo your hair. So what you get is natural looking hair where no one tell you have colored your hair. If you are fine with that, you can start with our Value Trial Kit above. If you have waist length hair or longer, then you need to start with at least half Kg of each herb (1 Kg pack above). Hi Gagan! I want to order the value trial pack. My hair is shoulder length. I do only root touchups but got a full head color application done in mid november last year.how soon can i procure your value pack and start using it? 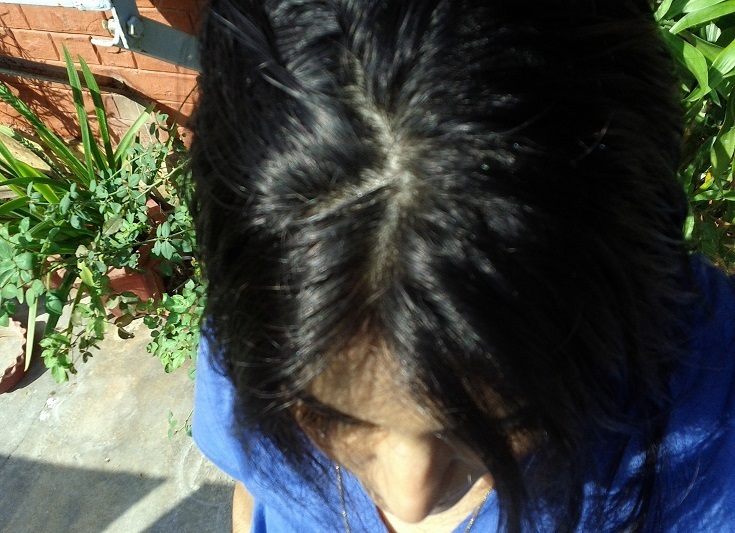 My mother applies some natural henna to color her grey hair which doesn't stay for even a week and inturn has made her hair thin and dry. Can you please advise which package should I buy for her. I have sent you an email also on LifesutraByGagan@gmail.com. Would be great if you can suggest something for her, she is losing her confidence coz of the poor condition of her hair. She has short shoulder length hair. Hi Gagan, my name is Arti. I have been using Heena for 5+ years. My scalp is sensitive, I experience burning and itching on some part of my scalp after Heena application. Could you please guide me about Heena+ Indigo combination and if your product would be suitable for my sensitive scalp? Thanks i have complete trust & have ordered the value trial pack. Is it possible to track the shipment. I am 22 years old guy, i have 50% grey hair, i have used garnier colour naturals for an Year and Black rose for 2 Years and i felt that my hair are becoming thin and weak, so in order to save my hair i felt that ur product is the correct one after doing some research in internet. I had mailed you (lifesutrabygagan@gmail.com). Can you reply me the bank account details for further process. Thanks for the post.. The only scary thing for me to use henna is the orange color. I get panicky whenever I see some north Indian ladies with orange and white hair. Worried if henna would make my hair so on a continuous use. That will be too damaging than the greys..
Can you please let me know how to overcome that and how they end up having orange hairs? I have 80 percent premature gray hair. I have been using hair colour for more than a decade now and as a result I have severe hair fall, my scalp is damaged and dry, my hair has gone very thin. Therefore, I avoid colouring as much as possible unless required. I have just coloured my hair dark brown using Wella Koleston a week back. Dear gagan, I mailed you just now. Can you please send me the details.